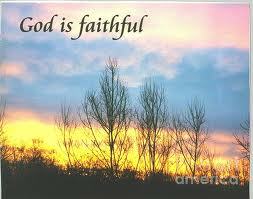 One of Travis’ best loved choral anthems is “God is Faithful.” This song will always be very special to us as well. 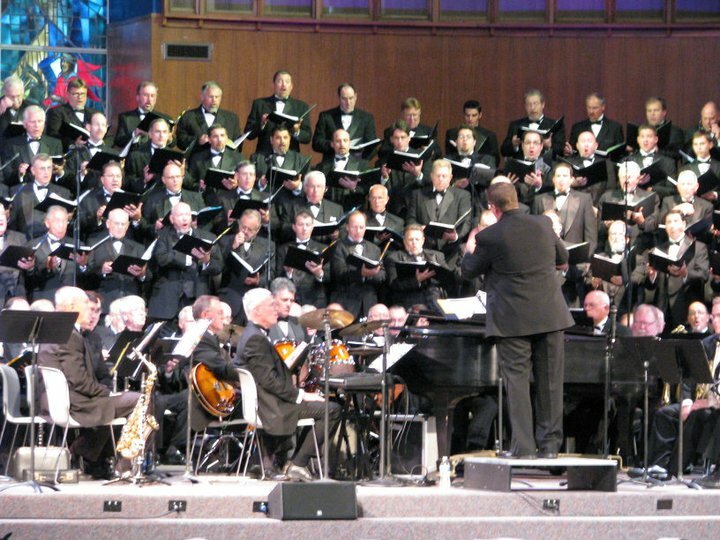 “God is Faithful” has been recorded as the title song on CDs by both The Singing Churchmen of Oklahoma (then under the direction of Dr. Bill Green) and the Georgia Baptist Convention’s Sons of Jubal (Dr. Jon Duncan, Director). 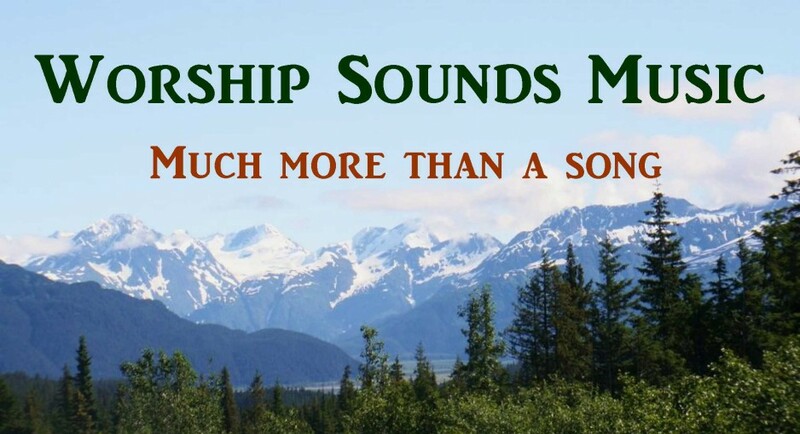 It has also been recorded as a solo on individual CD projects and sung all over the world by church choirs, by the choral groups already mentioned, and also by The Singing Churchwomen of Oklahoma. 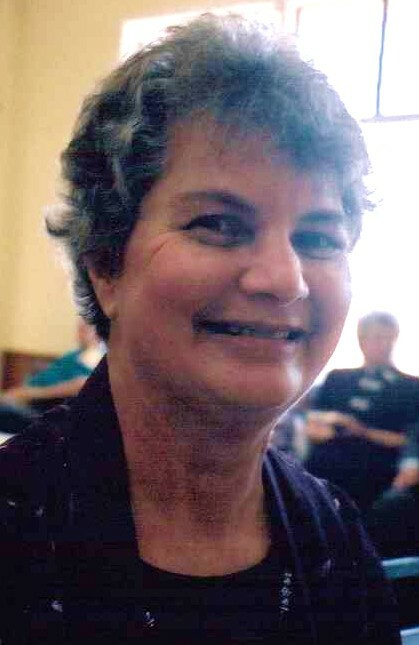 In addition, the women’s choirs who sang in Australia while their Singing Churchmen friends and spouses were there for a mission trip in 2003 sang “God is Faithful” in all the churches where they ministered in the Sydney, Newcastle, and Brisbane areas (see a story about “God is Faithful” in Australia near the end of this post). 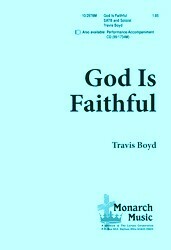 Dozens of individuals have taken the time to express to Travis how much the message of “God is Faithful” has meant in their lives; but before the song was heard by anyone else or was published by Lorenz Music, it was a tender message from our loving God to encourage the hearts of Travis and Cindy Boyd. 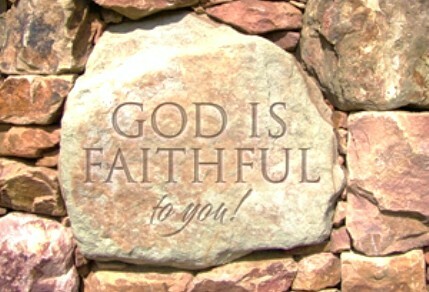 A lot of things were going on in our family and in our lives at the time that “God is Faithful” was written. God had called us to a new place of service. Our daughter was in high school, and our son was still in pre-school; and yet we left behind all 4 grandparents to move to the Church in Eastern Oklahoma which had just called Travis as their Minister of Worship. We had moved from one side of the state of Oklahoma to the other and three and a half hours away from our parents. It had been difficult to leave the only full-time church Travis had ever served where we were geographically very near our extended family, but that’s not the only reason the move was challenging. We were concerned about how our daughter would adjust to the move, we were leaving behind many very close friends whom we still love and miss, and we were leaving a community that had always been very special to us. It was the town where I grew up from third grade on, the town where I graduated from high school, the community where Travis and I had both gone to college, where we had met and married; and we’d both graduated from the University there. Our roots were deep in the community, and we knew and loved so many people there. We also loved our Church and our church family, and it was the church that Travis had longed to serve for many years before being called as their Minister of Music and Worship. The Pastor of the Church we were leaving had not been there very long, and Travis had enjoyed serving with him and with all of the other staff members and support staff at the Church. In addition to the monumental changes that a major move brings, Travis and I were dealing with other issues that were of great concern around this time period. The house we were leaving behind and trying to sell in western Oklahoma was the third house that Travis and I had owned in our 21 years of marriage. Up to that point, it seemed that the timing had always been wrong for us to come out well on the sale of a home. The first home that we bought was in Texas. At the time when God called us to a new place of service a few years later, our Texas builder was adding an entirely new section of homes to our neighborhood. The new streets had sidewalks. There was a community playground in the new part of the neighborhood. Furthermore, the new homes were selling for about the same price we had hoped to get for our home. Of course, we had to come way down on our price in order to sell, and still the home languished on the market for months as the new homes were marketed and sold by developers. 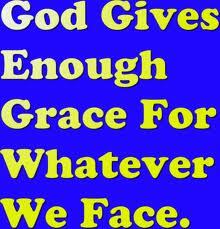 By God’s grace, we did manage to hang on, but we did not come out well on the sale of the home. When Travis was called to a new place of service the next time, we had to sell our second purchased home in central Oklahoma. We hoped to come out better because we had added more livable square footage to the home by completing an unfinished bonus room over the garage. However, just as we were preparing to make the move, the United States Government released their list of military bases that were in danger of being closed. The nearby military base was on the list. Eventually, the government revealed that the local base would not be closed. It was removed from the base closings list and is still a functioning Air Force base today, but its future was in doubt during the entire time that our home was on the market. As a result of the uncertainty and the possibility of losing the base, real estate values plummeted in our community and other nearby suburbs. Again, we were forced to take less that we should have been able to get for our home. A few months later, when the local base was removed from the list of potential closures, real estate values recovered; but the rebound was too late for us. Now, during the time period surrounding the writing of “God is Faithful”, we needed to sell our third house, in western Oklahoma; and, once again, the circumstances were not great. When we had moved into the community, we had rented a 3 bedroom duplex, where we planned to stay until we sold our central Oklahoma home and found a home we wanted to purchase. A few months later, our landlady contacted us and told us that one of her family members had a life crisis and needed the duplex. She was giving us a month’s notice and wanted us to move out. We began looking at everything that was available. Our central Oklahoma home had sold by then, but the lower price due to the uncertainty of the base closing list had drastically limited our options. In addition, the Western Oklahoma community to which we’d just moved was experiencing a major housing shortage at that time. It was a big enough deal to be featured in articles in the Daily Oklahoman (state newpaper) and even in video on Oklahoma City’s statewide broadcast of the evening news. The Mayor of the community was featured in one report. He had sold his home and could not find another to buy, so he was living in a local hotel. The options were so limited that our family of four was very close to having to move into a hotel as well, with a 13 year old daughter and a 4 month old son. We looked at everything that was available, which wasn’t much. In the end, the only option we had (other than living in a hotel) was a 3 bedroom home where the single car garage had been turned into a small room (a very poorly done renovation). The only things we liked about the house were that it was a roof over our heads and that our daughter and son each had their own bedroom. Everything else was dismal. We moved in just after Thanksgiving. It was our first Christmas at the new, western Oklahoma Church, we had an event to go to every night from December 1st to December 22nd, and our lives were in total turmoil. We had worked on cleaning the house for a week as we prepared to move in, while my parents took care of our children. The whole house reeked of cat urine. Walls and doors, and even cabinets (inside and out) were splattered with what looked like dried plum jam, but we never did figure out what the splatter really was. We scrubbed and scrubbed. I had to give up nursing our 4 month old son because we were cleaning on the house from morning until bedtime that whole week, and it was too filthy to bring the children into. I scraped the bathroom floors with a razor blade to get all of the crud off, and every surface in the house was just that filthy. We rented a machine and cleaned the carpets…twice. They still reeked. Travis was fixing things that were broken as well as cleaning. It was a mess. After we’d moved in, about 3 days went by before the sinks began to back up and toilets began to overflow. We had plumbers out to the house 6 times the first month and a half that we lived there (all during the Christmas season!). They even brought in “the big machine” to unclog our pipes, but the plumbing problems weren’t completely solved until we finally replaced the toilets in both the full bath and the half bath. In all the 3 years that we lived in that house, we were constantly having to fix and replace things (exterior siding, the furnace and air conditioning units, storm doors, dishwasher, water heater, disposal, etc.). The list went on and on. We had to take a second mortgage to pay for all the needed fix ups; and later on, we had to take out a third loan for the new heat and air units. So, by the time we made this move to Eastern Oklahoma, we had been through the wringer financially. We’d even had to come up with an I.O.U. idea for Christmas for our daughter, which we called a “Santa coupon”, and that’s what she got 3 Christmases out of the 4 that we spent in that home (1993 – ’96). We were now going to have to try to get enough out of that house to pay all 3 loans off; and after several months without a sale, even though the house was described by our realtor as “immaculate”, it was becoming apparent that we were going to take a big hit on this house as well. Travis was really concerned. God had worked a miracle to get us into a brand new home in Eastern Oklahoma, so we did have a wonderful break from the constant home fix ups for a while, but we didn’t know if we could keep handling the payments on the new home if we had to keep paying on loans from our western Oklahoma house even after it sold. The months dragged on, and the house didn’t sell until October after we’d moved in January. At one point, church members from our new Church helped by making part of the payment on the Western Oklahoma house for about 4 months; so we were very thankful that basic needs were met (but still barely surviving). It was during this time period of adjustment, uncertainty, and financial hardship that God gave Travis the message of “God is Faithful”. Dr. Bill Green, who was then the Director of both The Singing Churchmen and The Singing Churchwomen of Oklahoma, was one of the first people to hear “God is Faithful.” Travis played it for him during a summer time meeting in Oklahoma City. Brother Bill wanted to use the anthem with both choral groups, so Travis was asked to create an SSAA arrangement and a TTBB arrangement. He also did an orchestration for the Churchmen’s instrumental ensemble. “God is Faithful” was in the repertoire of both groups for several years. 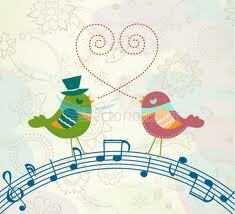 During that time period, Brother Bill also sent the anthem to Mary McDonald at Lorenz Music. Mary loved it, and it became Travis’ 4th choral anthem published by Lorenz (the first of his Lorenz anthems published by their Monarch Division, with others to follow). The SATB anthem is still available through Lorenz (See links below), as is the orchestration and the performance/accompaniment CD. Although many churches probably still have and use the published octavos, there are other churches that use Travis’ self-copyrighted copies from before the anthem was published. So many of the Ministers of Worship in the Churchmen wanted to use “God is Faithful” with their choirs that Travis did quite a bit of self-publishing before the song was accepted for publication. Whatever methods God has used to expand the reach of “God is Faithful”, Travis and I are just thankful that the message of this song has meant as much to others as it has meant for us. The most important truth to which we can cling in difficult times is that God is faithful! Circumstances don’t always work out as we had hoped, but God’s faithfulness is always there. In fact, we did have to continue to pay on the heating and air conditioner loan for over 2 years after selling our western Oklahoma home. Somehow, God provided. The publication of “God is Faithful” and other songs even became part of that provision for our needs. In 2012, we still have 6 boys at home, five of whom are currently in Elementary School. As a result of circumstances in the past 4 years, we have started over again as far as acquiring equity in a home. Our most recent home sale, after we’d moved to Georgia, took over a year and was completed in 2009 during the worst recession since the Great Depression. The home in eastern Oklahoma, where we’d lived for 12 years, updating and adding a room addition, sold for far less than it would have before the recession began. We could choose to dwell on the losses that we have sustained, but there is no point in that. We know that in each situation, what appears to be bad timing was really God’s timing. He has called Travis to each new place of service very clearly, and He has been faithful to meet our basic needs in spite of economic conditions and other external factors. God’s faithfulness is not thwarted by the ups and downs of the stock market or housing values. His faithfulness is not limited to the specific circumstances that surrounded the writing of this song or any song. 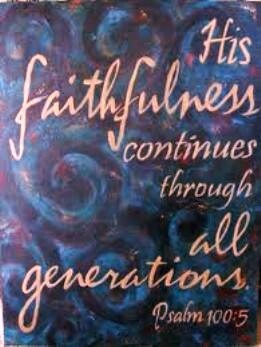 Just as God is eternal, His faithfulness is eternal; and it continues as He continues. 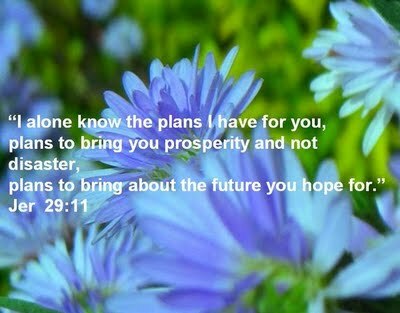 God is a keeper of promises, and He is faithful! You can rest within His hands. 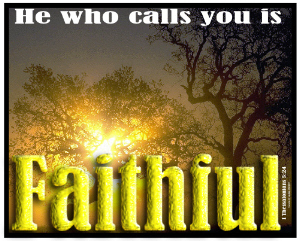 For the One who called you is faithful! He will not forget His own. 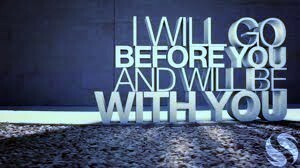 He’ll never leave you all alone. For the one who called you is faithful. So aware of all your hurts and all your deepest needs! God is faithful! He will not forget His own. * A full orchestration is available for this piece, as heard in the studio demo. * A performance/accompaniment CD is also available, and it features the orchestration as heard in the publisher’s studio demo. Here is my Sound Cloud audio of the Lorenz Studio Demo Recording for “God is Faithful”. Here, you will be able to click the listening link (music notes) and then immediately click the sample pages link (Adobe icon) to allow you to listen to the professional studio demo recording of the anthem while you view the music. “GOD IS FAITHFUL” IN AUSTRALIA! OUR GOD IS FAITHFUL EVERY DAY AND EVERYWHERE! Here is a testimony of a specific circumstance in which God used the message of His faithfulness through “God is Faithful” to bless and encourage. 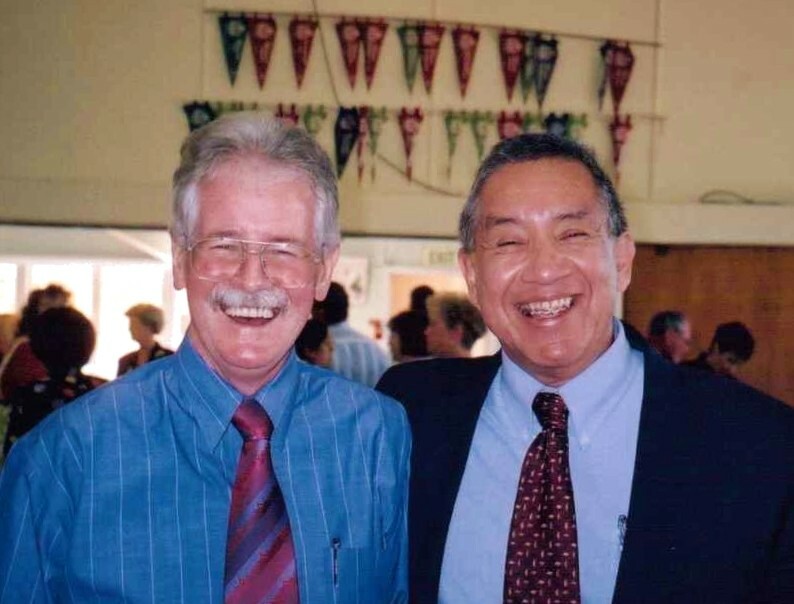 In 2003, over 300 people went to Australia for an incredible mission trip. The main performing group was The Singing Churchmen of Oklahoma. 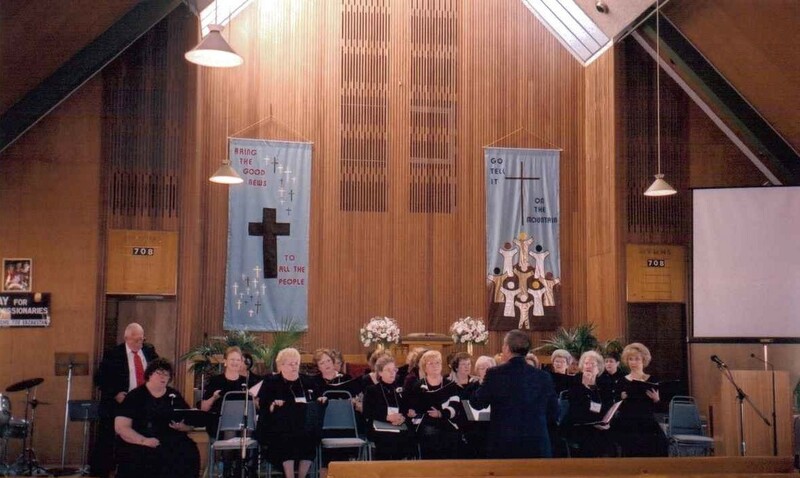 The group gave concerts in serveral large and well-known venues, such as the Sydney Opera House, and then split into smaller groups to minister in local churches. Over 90 of the people on this trip were the wives of the Churchmen; and for the first time ever on a Churchmen mission trip, there were enough of us to form 2 women’s choirs, which ministered in Churches and even in a pineapple canning factory during our time in Sydney, Newcastle, and Brisbane. 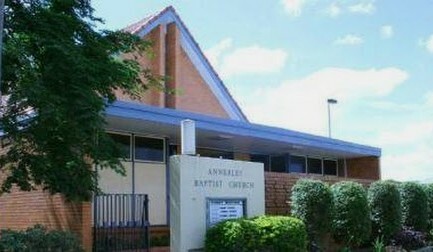 The women’s choir that I was in, directed by Singing Churchmen member Tyrone Smith, sang at Annerley Baptist Church, near Brisbane, on Sunday morning, May 11th, 2003, which was Australia’s Mother’s Day. Although the Singing Churchmen were no longer singing “God is Faithful”, the two womens’ choirs were singing an SSAA arrangement of the song. 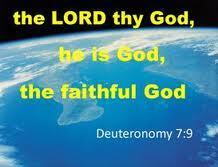 I had been asked to sing the solo on “God is Faithful,” and I had done so during the Worship Service that day. Later on, during the fellowship meal after the service, a woman approached me. She told me that her name was Noela (pronounced Nola), and that she was not a member of Annerley Baptist Church and did not live in Brisbane. She said that she was only at the church that morning because it was Mother’s Day. She and her husband had driven from their home 2 and a half hours away to be there with his Mother. Noela confessed that she almost did not make the trip to visit her Mother-In-Law. She explained that she had been fighting cancer and that she was feeling discouraged. However, she did feel an urging from the Spirit of God to come to Brisbane; and, with her husband’s encouragement, she made the trip. She told me that she now felt it was a divine appointment for her to be there. Noela said that the message of God’s faithfulness had come across to her so clearly as she listened to “God is Faithful” that she knew why we were there on that day and why God had prompted her to come. Several of us talked with Noela as long as we could, and it was an amazing conversation. God had so touched her and encouraged her heart through the message of His faithfulness that she seemed radiant with faith in His goodness and faithfulness to her, and Noela in turn became an encouragement to all of us. It was a very brief encounter, but I will never forget it. I can think of many times when God has also touched my heart with His love and encouragement, just as he touched Noela’s heart. Comfort or encouragement can come through a kind word, a prayer, a song, a note, a sermon, a scripture passage or verse, and certainly through God’s presence within us and as revealed to us through the kindness and compassion of others. God is faithful to Noela, He is faithful to me, and He is faithful to you! Be encouraged today as you thank Him for His faithfulness! Encourage others as well. Never forget that God is faithful!